So this appeared in my local newspaper this week. I love finding this kind of grammar goof. 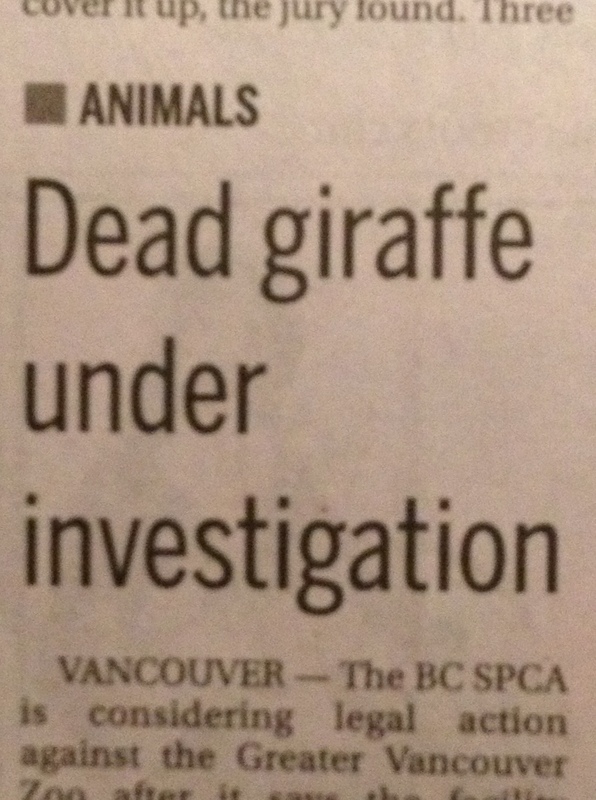 Looks like the dead giraffe is being investigated, when what it should tell us is that the DEATH of the giraffe is being investigated — somewhat of a difference in meaning!